The 2019 editions of the Alberta Building Code, the Alberta Fire Code and the 2017 National Energy Code for Buildings (NECB) have been adopted by provincial regulation on February 12, 2019. The new Alberta Building, Fire and Energy Efficiency Codes have been approved and come into effect on April 1, 2019. Although you have to keep all building codes in mind, below is a brief understanding of how these new building codes relate to the business we specialize in, soundproofing. 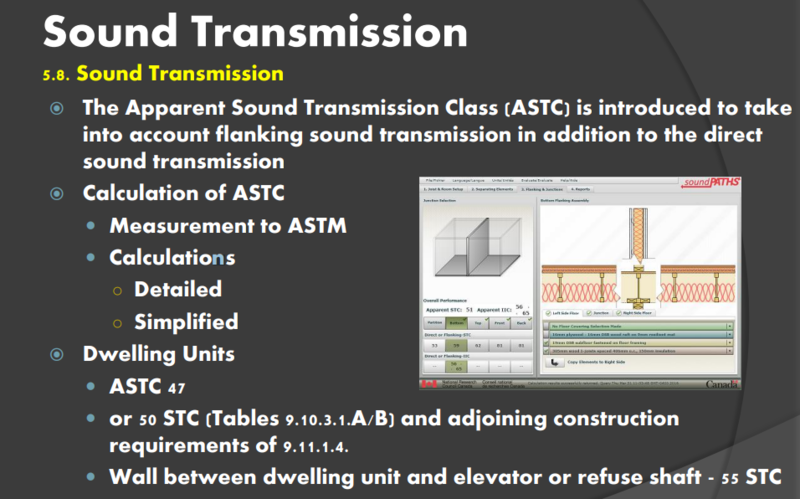 Introduces a new metric called Apparent Sound Transmission Class (or ASTC). It is the sum of all flanking sound transmission paths (indirect paths) and the direct sound transmission path. ASTC better relates to what is heard by the occupant. No changes to the level of performance. Provides 3 compliance paths; Measurement, Look up tables, or the NRC web application soundPATHS.